I follow up with my binocular observation of comet Hyakutake as it passed the star Arcturus. The coma was big and greenish at this time. The comet moved very fast. Info on sketch. I used crayons on black paper. 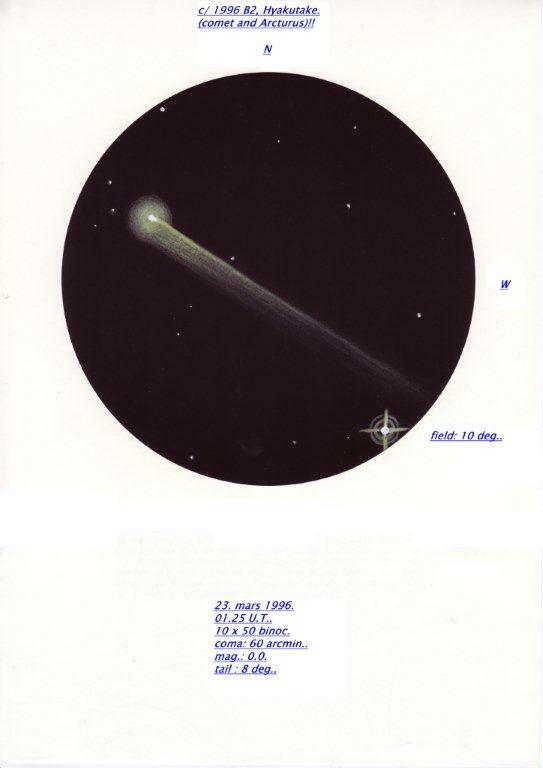 Excellent treatment of this wonderful long tailed comet. Hard to believe 15 years have passed since this comet crossed our skies.